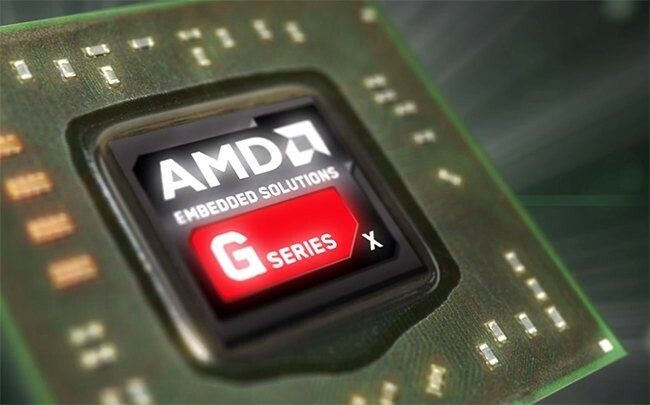 The AMD G Series GX-210JA is based on the x86 platform and will have an integrated Radeon HD 8180 Graphics. The AMD System on Chip will utilize only 6W TDP as compared to Haswell’s 11 W TDP. The average power is thought to be a meager 3W. This 3W is equal to Intel’s SDP calculation which for the Haswell Fanless SoC is 4.5W. The GX-210JA will support an impressive 1Ghz Clock Speed. Note that the Haswell Fanless SoC will only deliver the ideal TDP if the CPU is capped at 800 Mhz. The GPU Aspect doesn’t disappoint as well (considering the TDP). The AMD GX-210JA includes a dedicated graphics memory controller with 2D Acceleration and a highly optimized 128-bit engine capable of processing multiple pixels per clock. The 3D Acceleration includes DX 11.1 with Open GL 4.1 and Open CL 1.1 and Shader Model 5. The GX-210JA is also capable of full speed 32-bit floating point per component operations. The current G Series of APUs including the GX-210JA from AMD have quite a number of tricks up their sleeve as well. This includes Enterprise-class Error-Correction Code (ECC) memory support, Industrial temperature range of -40°C to +85°C and available with dual- or quad-core CPUs, Discrete-class AMD Radeon GPU and an Integrated I/O controller.